This 1600 kilometre tour is among the best landscape drives in the world. No other drive of this distance could offer a wider variety of vistas and cultural delights. The route traverses five alpine passes and includes eleven UNESCO World Heritage sites, twenty-two lakes, and four language regions. Look forward to an exciting journey of discovery through Switzerland and experience maximum enjoyment with the exclusive CITYPEAK Grand Tour Special! The Grand Tour of Switzerland is more than a display of the country’s spectacular scenery, but also a voyage of culinary discoveries. You will taste a variety of specialties from all parts of the country from our Grand Tour Snack Box. The Snack Box can be filled with enough to satisfy small appetites. The Snack Box is worth CHF 25 and makes a unique souvenir. 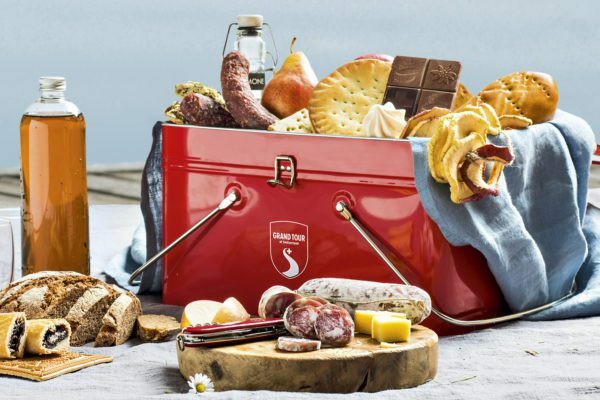 Fill the box with delicious specialties for two for CHF 20 again and again at any of the 50 official sales points along the Grand Tour. 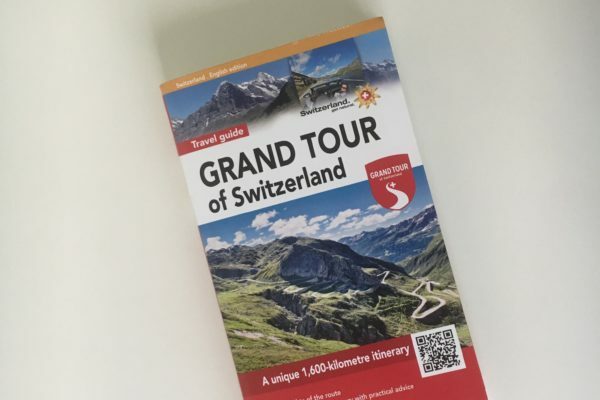 The Grand Tour of Switzerland Touring Guide contains 288 pages of tour highlights and site descriptions. 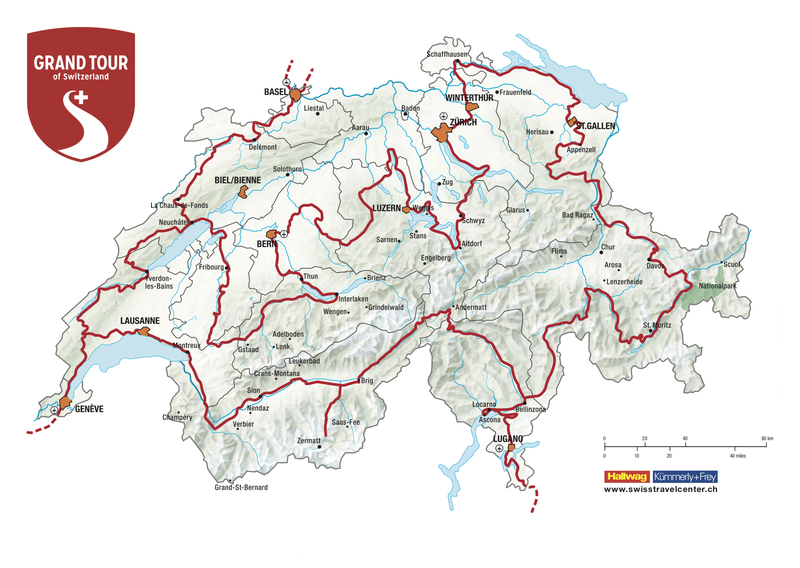 It includes travel tips on the 25 sections of the route and a map of Switzerland at 1:500,000 scale. 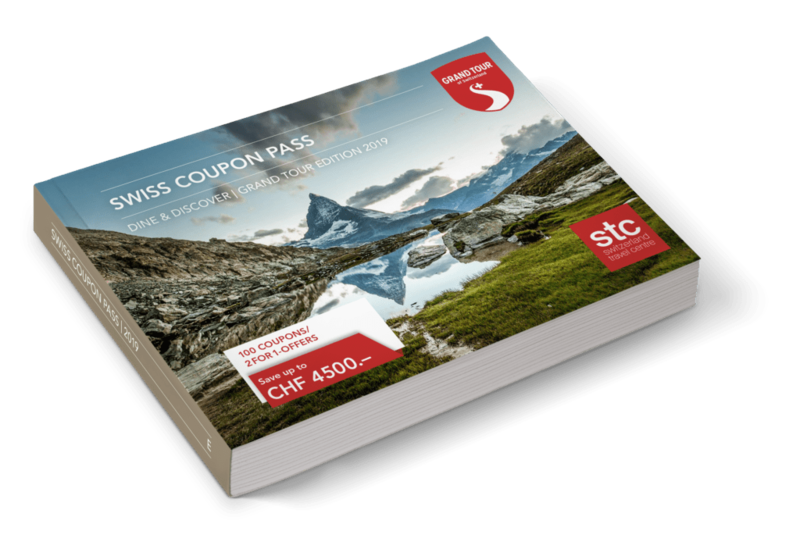 The Voucher Book contains a listing of services and attractions that are found in 11 destinations along the Grand Tour. Just two examples of the 100 exclusive 2 for 1 offers include cable car fare and admission to a thermal spa. Benefit from 50% discounts on many offers from the gastronomical, public transport, and leisure sectors. Up to CHF 4,500 in savings are available.